Assumburg 74 1081 GC Amsterdam - Krop & Co. Makelaars en Taxateurs o.g. Light and practical 2-ROOM APARTMENT (49 M2) WITH BALCONY South/West, located on the 6th floor of a well-kept apartment complex. There are 2 lifts in the apartment complex and a storage room in the basement. Central, closed, spacious entrance on the ground floor. 2 lifts with access to the sixth floor. Apartment: Entrance / hall with meter cupboard and toilet. Bright, sunny living room with access to the southwest-facing balcony. The open kitchen is equipped with dishwasher, washing machine, 5-burner hob and stainless steel extractor hood. The balcony can be reached via the living room and bedroom. The bedroom has two fitted wardrobes. The bathroom is tiled to the ceiling and has a shower cabin and a sink. The apartment is conveniently located near the Zuid-As, the Gelderlandplein, Zuid-WTC Station and the Amsterdamse Bos, which offers countless forms of recreation. The local shopping center on Buitenveldertselaan with, among other things, a Jumbo, the Kruidvat, Butchery Hergo, a florist, a cheese shop and countless other shops for daily shopping is located within walking distance. The luxury shopping center Groot Gelderlandplein is also 5 minutes away. The Ring A10, A2, A4 and A9 can be reached quickly and easily by car. Public transport is excellent with the metro / tram / bus next door and provides an excellent connection to Amsterdam Zuid station (including North / South line and connection to train), the city center and Amstelveen. There is ample parking space in front of the door. Residents are eligible for a residents permit. 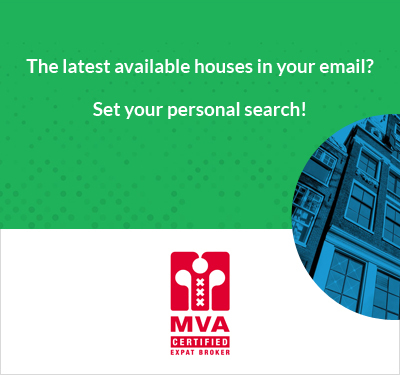 For more information, please refer to the website of the Municipality of Amsterdam. The property is located on land owned by the Municipality of Amsterdam. The General Provisions of 1955 continuing lease are in force. The period ends on June 15th 2039. The costs of the ground lease are included in the monthly service costs. The current cooperative is professionally managed by the Newomij. The association is currently busy converting the cooperative into an Owners' Association. Until that time, membership rights are sold. The monthly contribution for this apartment is � 229,28. The advance heating costs is included. The business expenses (such as sewerage, property tax and ground rent canon are also included in the service costs). - Living area 49 m2 in accordance with NEN 2580 measurement report. - Sunny balcony located on the southwest. - Paid parking / permit. - Service costs � 229,28 per month including advance on heating costs, hot water, maintenance, ground lease and annual taxes. - It concerns a membership right. - The current cooperative is professionally managed by the Newomij. At the moment the association is busy converting the membership rights to apartment rights and has almost completed this. Until that time, membership rights are sold. A loan (mortgage) for the purchase can, among other things, be requested from the SNS bank. - In short, a well-laid out apartment with a beautiful view and with many options in a prime location. We invite you to view the property! The drafting of the deed of sale must take place at a notary's office within the Amsterdam / Amstelveen ring road within 5 working days after verbal agreement.